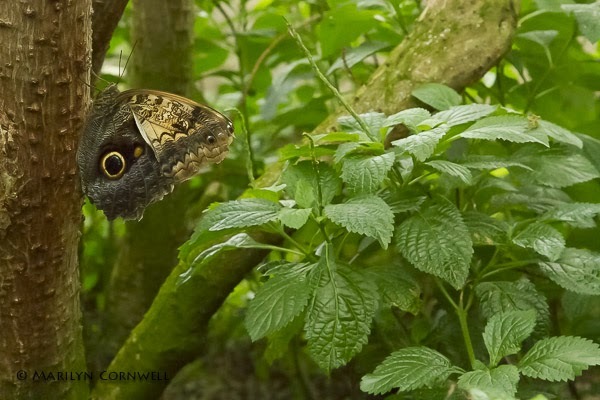 The butterfly conservatory was filled with children and butterflies on January 1st 2014. 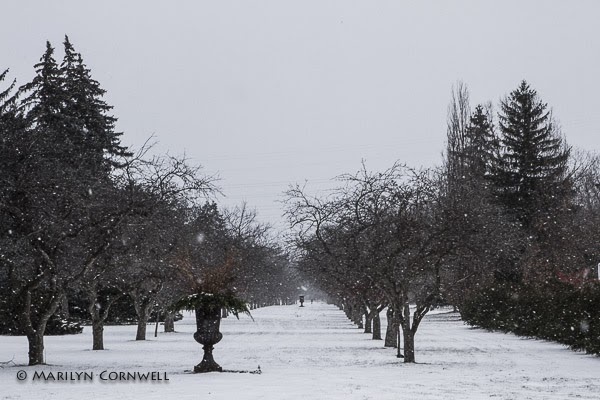 Outside the crab apple allee was showing its infinity view with its giant urns drawing the eye to the vanishing point. Spring will show quite a different picture. 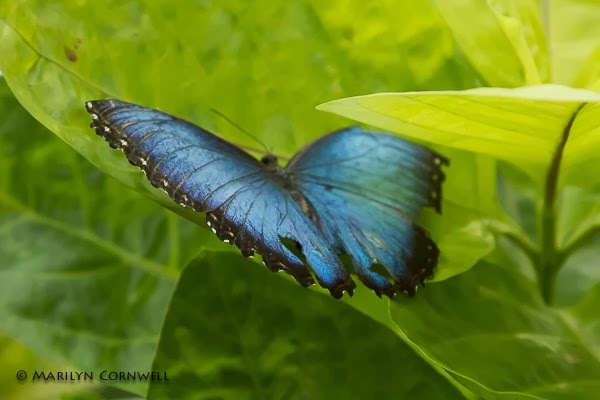 Inside the butterfly conservatory, the Blue Morphos were fluttering everywhere. But it is difficult to get a shot of them with their wings open. Sitting on a tree trunk with the wings closed is an easy shot.